Going on vacation with your new husband is an amazing experience and will be one you will remember for the rest of your life. If you consider yourself a novice traveler or someone who flies every other week, there are some important odds and ends you need to take care of before hopping in the car or on a plane to your dream honeymoon location. Hopefully this check list will help you get the most out of traveling because it is a rewarding and life changing experience. Keep it handy when you’re packing and before heading to the airport. 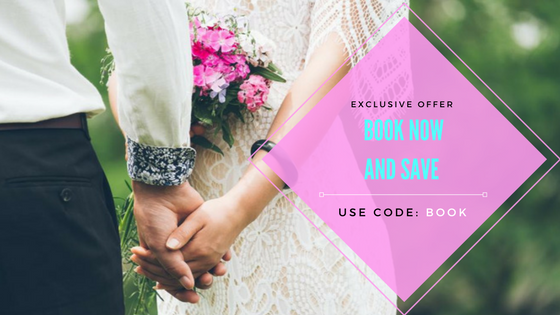 This seems obvious but if you’re leaving for your honeymoon immediately after your wedding then the scramble to organize the final details of your wedding day will take priority over your vacation. Plan what you’re going to pack and do it the night before to ensure that the day before you leave can be focused on the wedding. Visit your local UPS or go online and have them hold the mail, even if you’re only going to be gone for a few days. It’ll save the dread of coming home to an overflowing mailbox. Or you can auto pay your bills because there is nothing more unpleasant than coming home to a stack of unpaid bills and late fees. Regardless of whether you’re traveling abroad or domestically it’s good to make some copies of anything that you cannot lose such as your passport, credit card, or driver’s license. Go through your wallet and leave behind any extra credit cards, social security card, or whatever else you won’t need on vacation. Recruit a neighbor or friend to help check out your place before you leave and give them a spare key just in case. This is useful if you’re expecting packages or other important mail that cannot sit on your doorstep for an extended period of time. Nothing is worse than being bugged by the real world why you’re on a dream vacation. Prior to leaving alert everyone of the date through email or word-of-mouth and have an automatic email reply ready on your trip to alert everyone know your gone and when you’ll be back. Unplug all electronics like lamps, extension cords, TV, toaster, etc. before you go. This will save your electricity bill immensely while you’re gone. Take out the trash, clean your kitchen, water your plants, or vacuum before you leave because it’s best to come home to a clean house rather than a dirty one. There may be some downtime on your honeymoon so it’s good to bring something to read, especially if you need to some much needed “me” time after planning your whole wedding. This includes travel books about your location or something relaxing that won’t make you think too much. Traveling is an amazing opportunity and this list is just a glimpse of all that you need to do before leaving for your honeymoon. This list of 101 things to do is the best for making sure absolutely everything is taken care of prior to heading to the airport. Safe travels!